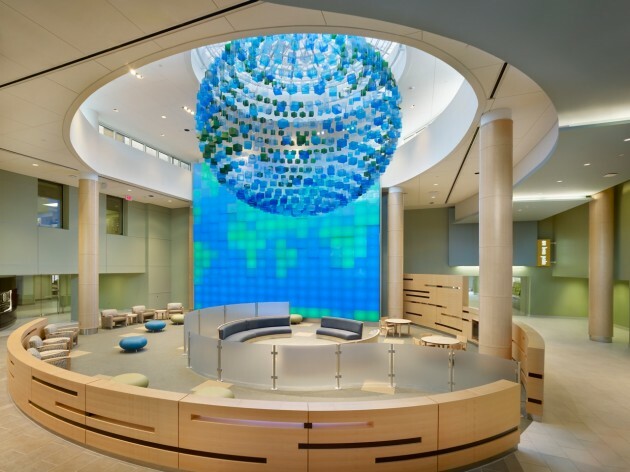 Francis Cauffman Architects together with Eventscape, a custom manufacturer of framed structures, have completed a globe installation in the lobby of the St. Joseph’s Hospital in New Jersey. 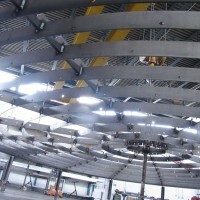 As part of the hospital’s expansion project, the new main lobby opened September 2010. 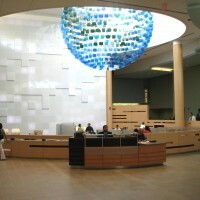 The advanced design of the lobby symbolizes the advanced care the hospital offers. 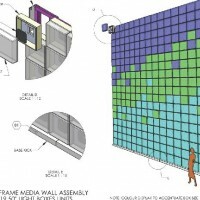 Eventscape engineered, fabricated and installed the large 30 x 30 ft. media wall. 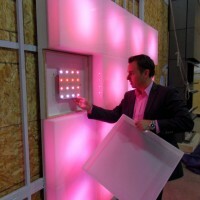 Composed of acrylic cubes set at various depths with interior LED lights, they are programmed with a variety of colors and patterns. 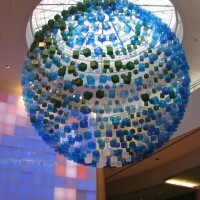 The 20 ft. diameter globe light feature is composed of 860 individual 6 inch square acrylic cubes. 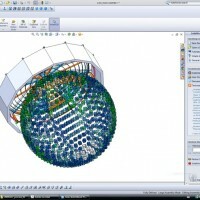 Originally designed as a fabric covered frame, the architects approached Eventscape to design an alternate solution. 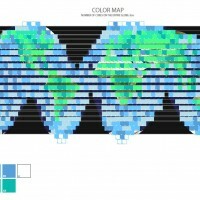 Each colored cube is precisely placed to create a giant glowing globe, complete with all continents and polar caps. 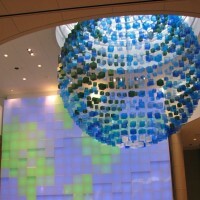 Engineering, fabrication and installation of Globe feature and media wall: Eventscape Inc.